The verdict of the Coroner’s jury? Jail officials and other prisoners, all vindicated. Nevertheless, it seems that Ralph “Ray McCoy” Fuller raised the ire of Angelenos in the grip of Hickman fever, whose Hickmanmania (Hickmania? Hickmentia?) led an angry mob to chase down and beat Fuller something fierce, believing the twenty year-old to be Hickman, after Fuller robbed a store at 242 South Main and was chased two blocks on foot. In other lynching news, any and all information regarding Hickman’s departure and route from Pendleton (where he was exhibited in a cage like a circus animal) to Los Angeles County Jail is being kept under strict secrecy. What’s in that Embalming Fluid? Los Angeles County Coroner Roy S. Lanterman was arrested on charges of being drunk and disorderly at the Navajo, a bordello run by Ida Hastings, 309 Ord St. Hastings called police, who arrested Lanterman. Retired Episcopal minister the Rev. John Jewett, 83, wanted to die, so while staying with his son-in-law, J.D. Porter, he slit his throat with a razor. The undertaker was called, but when he arrived with his hearse, Jewett was still alive, although death was imminent. The undertaker went back to his funeral home to wait. Later that day, the undertaker got a second call to go out to Manhattan Beach and get the body of a suicide victim. When he got there, Jewett hadn’t died. 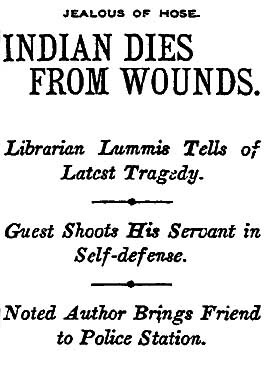 A 20-year-old Pueblo Indian from New Mexico was shot to death at the home of City Librarian Charles F. Lummis in a fight with a houseguest that began over a garden hose. At 19, Florence Grover was old enough to be in love and living with a man, and at 19, she was old enough to become a mother. Her boyfriend, L.C. 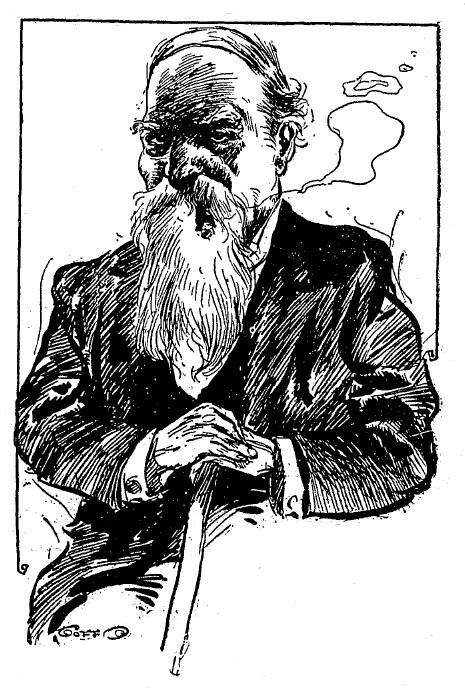 Lutzen of the National Messenger Service, with whom she lived at 120 N. Broadway, testified that he had made preparations to raise their child as his own. Hollywood has been rife with excited talk over the recent death of area man T. C. Hoagland. Hoagland, of Olive Street, raised the interest of locals when his formerly attending physicians, unsure of the cause of this life’s cessation, refused to sign a death certificate after Hoagland’s demise. Hoagland’s cadaver was handed over to a Dr. G. W. Campbell, who therefore performed an autopsy. The rumors afloat among Hoagland’s Hollywood neighbors were lessened somewhat when it was revealed that there had been no foul play; rather, Hoagland had simply died of alcoholism. This should have come as a surprise to no-one, given Hoagland’s reputation for heavy drinking, but the rumors remain unquelled. An inquest has been ordered and the Coroner shall further investigate Hoagland’s death.